An innovative new solution has been developed to add security to parked bicycles. 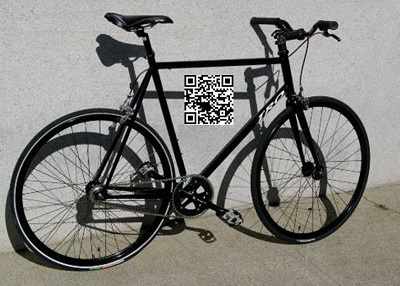 A new security system based on QR codes for bikes being parked on campus has been developed by a team of three students who call themselves the Beta Adroits. The group had frequently heard of problems with bikes that were being stolen and sought new on-campus security. The group then realized that there was a very practical use for QR codes in solving the problem of stolen bikes. Balaji said that the quick response codes could be affixed to the bicycles so that they can be scanned with smartphones or even with webcams. The entire Beta Adroits group is made up of Sona College of Technology students who are seeking Computer Applications degrees. These students from Salem, Tamil Nadu are already 75 percent of the way through completing their source code and are nearly ready for implementing this new QRcode security system on their college campus. The students and professors, alike, have been very receptive to the idea and are looking forward to seeing the system when it is put into place. The goal is to test it on their own campus and then introduce it to other schools throughout Chennai when it is found to work.